March is Problem Gambling Awareness Month: NYCPG asks you to Start the Conversation about Problem Gambling in the Work Place. FREE Webinar on Problem Gambling and the Workplace taking place on Friday, March 22, 2019 at 12PM. In honor of Problem Gambling Awareness Month (PGAM) for 2019, the New York Council on Problem Gambling (NYCPG) focuses on bringing to light the connections between problem gambling and problems in the work place. Problem gambling just means that gambling is causing problems in someone’s life. These problems could be related to money, relationships or even work. Over half a million people in NYS are struggling with problems due to their gambling. Problem gambling doesn’t just affect the individual. It also affects family members, friends and coworkers, which could reach over 6.7 million people. Each person struggling with problem gambling costs taxpayers an estimated $56,000.00 for work absenteeism, time in courts and health-related costs. Start the conversation with your coworkers and employees. Start the conversation with your clients. Start the conversation with your family members. Let’s all do our part to help raise awareness about mental health conditions and problem gambling. Problem Gambling Awareness Month printable poster. Your First Step to Change, 2nd Edition A self-help toolkit of resources to help start the journey toward recovery from problem gambling behavior. FREE clinical supervision for NYS providers working with persons negatively affected by gambling. 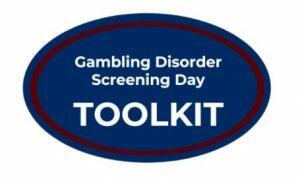 Gambling disorder Screening Day 2019 toolkit made available by the Cambridge Health Alliance of Harvard Medical School. National resources for Problem Gambling Awareness Month available from the National Council on Problem Gambling. Learn more about problem gambling at the NYCPG 2019 Annual Conference on Problem Gambling taking place November 20-22, 2019.